McALLEN — A doctor from Reynosa will serve 40 months in federal prison for his role in smuggling cocaine into the country. Dante Jaime Yoplac-Augustín, 38, stood before U.S. District Judge Micaela Alvarez on Tuesday to face sentencing in a case related to his March arrest at the Hidalgo-Reynosa International Bridge. In early May, Yoplac pleaded guilty to conspiracy to import a controlled substance related to his attempt to smuggle in 38 kilos of cocaine through a port of entry, court records show. Government prosecutors alleged Yoplac was part of a drug trafficking ring, along with Jorge Montoya-Rivera, 51, that moved cocaine into the country using altered vehicles to conceal the narcotics. For his part, Yoplac said he was forced to smuggle cocaine as part of a debt he owed to a drug cartel. 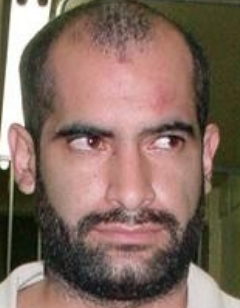 Yoplac was arrested March 11 by U.S. Customs and Border Protection officers working on the Hidalgo-Reynosa International Bridge moments after another man, later identified as Montoya-Rivera, was arrested attempting to drive through the port of entry with cocaine hidden within his vehicle, the complaint states. Yoplac was walking through the port when he was arrested. Montoya-Rivera, who remains in custody, is scheduled to be sentenced in early September. Yoplac, who does not have legal authorization to live in the country, will likely be deported upon comple-tion of his prison term.